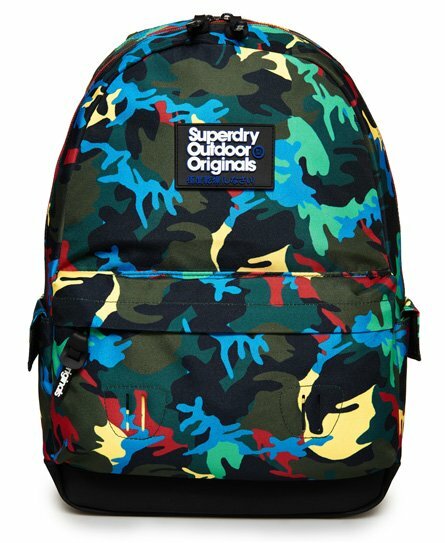 Superdry men’s B Boy Montana Rucksack. With bags of charm, the B Boy Montana will have you looking on top of your fashion game this season. This rucksack features a top grab handle, padded straps and a large main compartment to hold all your favourite items. In addition, this rucksack also has a smaller outer compartment and twin side pockets with a popper fastening. For the finishing touches, the B Boy Montana has been decorated with Superdry branded zip pulls and a Superdry Outdoor Originals rubbed badge on the front.